The present study aimed to evaluate the feeding performance of juvenile marble goby (Oxyeleotris marmorata) on acidified diets. 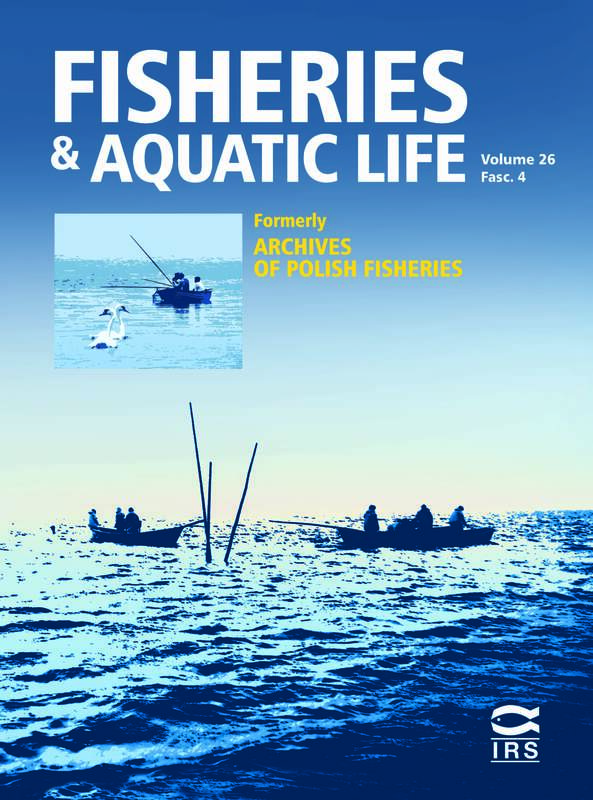 Five fish meal-based diets at various pH levels (2.5, 3.2, 4.3, 5.3, and 6.0 (control)) were prepared, and each of them was fed to 10 wild-caught O. marmorata juveniles (body length 7.7–9.3 cm; each fish was placed in an aquarium, hence each dietary treatment was in 10 replicates) for 20 days. Throughout the feeding trial, O. marmorata juveniles showed clear increments in the daily ingestion ratio (IR) values of AD 2.5, AD 3.2, and AD 4.3. The control diet and AD 5.3 were almost totally rejected by the fish. On day 20, the IR of AD 2.5 (0.46) and AD 3.2 (0.36) were significantly higher (P < 0.05) than those of AD 5.3 (0.1) and the control diet (0.02). In addition, 70% of fish fed AD 2.5 achieved a high IR value (0.6 – 1.0), and this was the best result among all the treatments (AD 3.2, 60%; AD 4.3 50%; AD 5.3 and control, 10%). These results suggested that acidified diets can be used to wean O. marmorata juveniles, and the recommended pH level was 2.5.